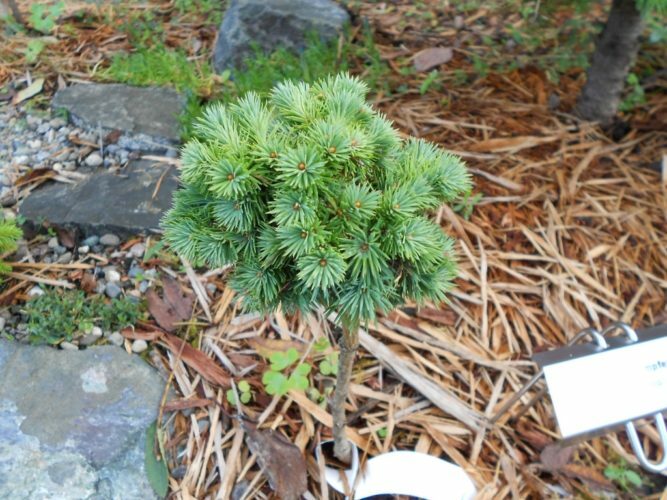 Larix kaempferi 'Bambino' is arguably one of the smallest selections of Japanese Larch that can be currently found anywhere. 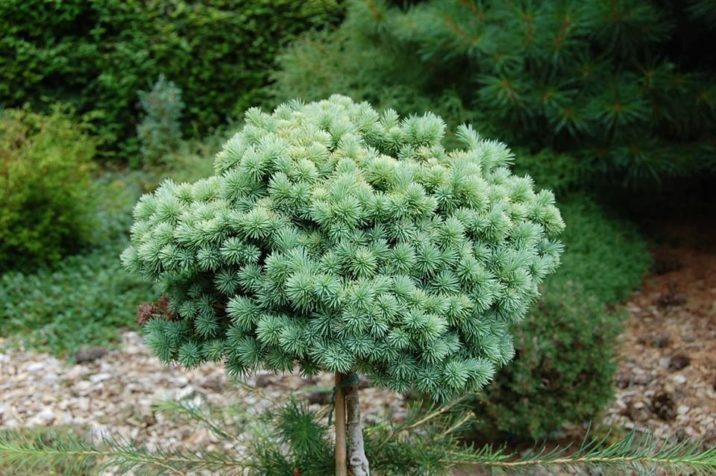 It can be described as a tight ball of smooth, light bluish green needles on very short, radiating stems. Annual growth is less than 1 inch (<2 cm) per year, producing a plant that's a 6 to 8 inch (15 - 20 cm) globe after 10 years. Like all larches, be aware that this is a deciduous conifer. It's needles will turn straw-yellow before being shed in the fall. G.D. Boehlje of Westerstede, Germany discovered 'Bambino' early in the 1990s at his nursery. It should be noted that this particular cultivar is very difficult to propagate and is slightly more freeze-tender than are other selections of this species, making it extremely valuable as a collector's plant. This is a perfect choice for the rock garden or trough planting. An exceptional presentation could be created to graft this onto a high standard, allowing for up-close viewing of the tiny plant. Larix kaemperi 'Bambino' at Glacier's End Arboretum, Olympia, WA. When this photo was taken in 2013, this 4-year old plant was approximately 3 inches around. Larix kaempferi 'Bambino' — an exceptional older specimen grafted on a standard.